Many women are unsure about whether or not they should go to the dentist during pregnancy – moms-to-be are often concerned about the “risks” these visits might pose to their babies. However, is it really unsafe to receive affordable dental work during your pregnancy? Are there truly risks involved? What if you have a dentistry emergency? Here is an expectant mom’s guide to going to the dentist – you may be surprised by the following information. If I’m Pregnant, Should I Visit the Dentist? The ADA recommends that you do continue to attend regular exams and cleanings during pregnancy, and continue to brush your teeth, floss daily, and eat healthily. Pregnant women have a higher chance of developing gingivitis than women who are not pregnant – if left untreated, gingivitis can actually lead to preterm birth. Visiting a dentistry provider will help you to prevent gingivitis and to maintain your proper oral health during pregnancy. 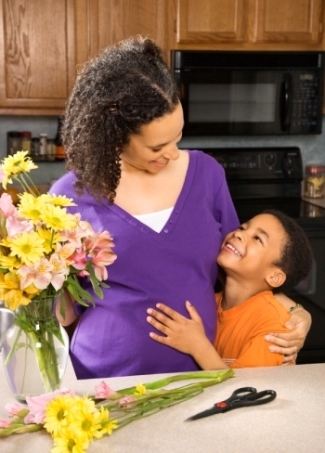 The best time to visit the dentist is during your second trimester. During the first trimester, your baby's organs are still developing, so if you need any affordable restorative treatments (fillings, crowns, etc. ), then you should wait until your second trimester to have these procedures performed. Also, try to avoid a visit during your third trimester, because an extended time spent on your back will become even more uncomfortable and stressful for you and your baby. What Should I Avoid at the Dentist? Postpone elective procedures, such as whitening or unnecessary x-rays, until after you've had your baby. If an emergency X-ray is needed for your situation, don't worry. One X-ray may be nothing to worry about, but a full mouth series of X-rays could cause possible side effects. If you're having any restorative treatments performed, be conservative when taking the recommended medicine. When you go to the dentist, make sure to let him or her know that you’re pregnant. You should also ask any questions you have about dentistry work while you’re pregnant, and how it might affect the baby. What If I Can’t Afford a Dentist Visit? Visiting the dentist is key to maintaining proper oral health during your pregnancy. If you don't have affordable insurance, you may want to investigate a discount plan to receive cheap treatment, and to see a helpful, quality dentist for help. Visiting the dentist is not usually at the top of an expecting mom’s to-do list. However, maintaining your proper oral health is a key way to ensure your baby’s proper growth and development. Receiving care at your dentist may also minimize potential complications from preterm birth, and reduce any oral issues after your baby is born. If you’re not already pregnant, try to make an appointment with an affordable dental provider before you are, so that you can address any existing issues without fear of complications.